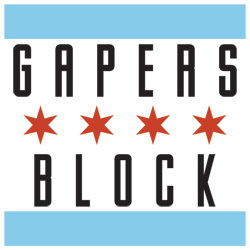 Half Acre Cycling's fifth annual Gapers Block Crits run March 25-28 in Calumet Park, 9801 S. Ave. G. There are three races each day; on-site registration opens at 5pm, first race is at 6:10pm. Even if you're not racing, come down and cheer on the cyclists. More details on Facebook. Tonight, Facebook COO Sheryl Sandberg will discuss Lean In: Women, Work and the Will to Lead at at the the Palmer House Hilton (17 E. Monroe St.). Sandberg will be joined by Joycelyn Winnecke, vice president and associate editor of the Chicago Tribune. Presented by the Book Stall. $40, begins at 6pm. Lee Fields has been in the game since the 1960s during the prime of the R&B, funk and soul that's his bread and butter. He's had his share of ups and downs, and now is making the most of his opportunity to shine in a resurgence. Last year's Faithful Man album was a powerful reminder that Fields isn't just phoning it in and has the substance to stand up with the newcomers. He's a consummate professional and provides a warmth in his shows that's rare from certain flavors of the week. 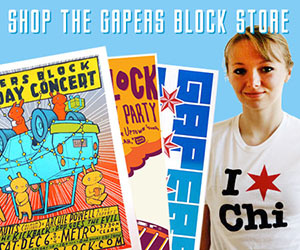 Lee Fields & the Expressions headline Lincoln Hall, 2424 N Lincoln Ave. Lady opens. The show's 21+, $15 in advance, $18 at the door and starts at 9pm. The pH Comedy Theater, 1515 W. Berwyn Ave, presents "Past, Present, pHuture on Thursdays" at 8pm. In this time traveling improv show, the audience suggests a year, from 1940-2030. Performers then do quick research at the top of the show and transform the stage to give a fully improvised set in that year. Each year will be complete with soundtrack, commercials and a fact checker on hand. Tickets are $10/$5 for students and can be purchased on pH's website. The show is BYOB, and will run until May 5. Since Jawbreaker's breakup, singer Blake Schwarzenbach has continued to churn out top-notch punk rock with Jets to Brazil, Thorns of Life and now Forgetters. The latter's self-titled debut full-length is a flood of power-pop/punk richness highlighted by Schwarzenbach's gruff vocals and gut-wrenching lyrics. Forgetters headline the Empty Bottle, 1035 N. Western Ave.. Local bands All Eyes West and Pampleteers open. Doors are at 9pm. The show's 21+, $10 in advance, $12 at the door.